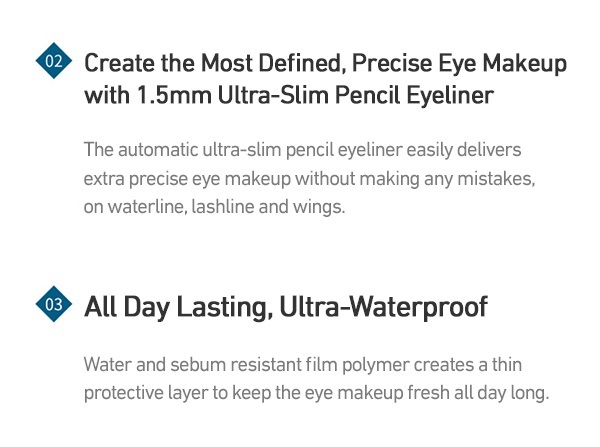 1.5mm super slim gel pencil eyeliner that softly melts on skin then fixes perfectly. Due to the super thin 1.5mm pencil type, exposing the lead excessively may cause the lead to break. Thus, be sure to expose only 1mm at a time.